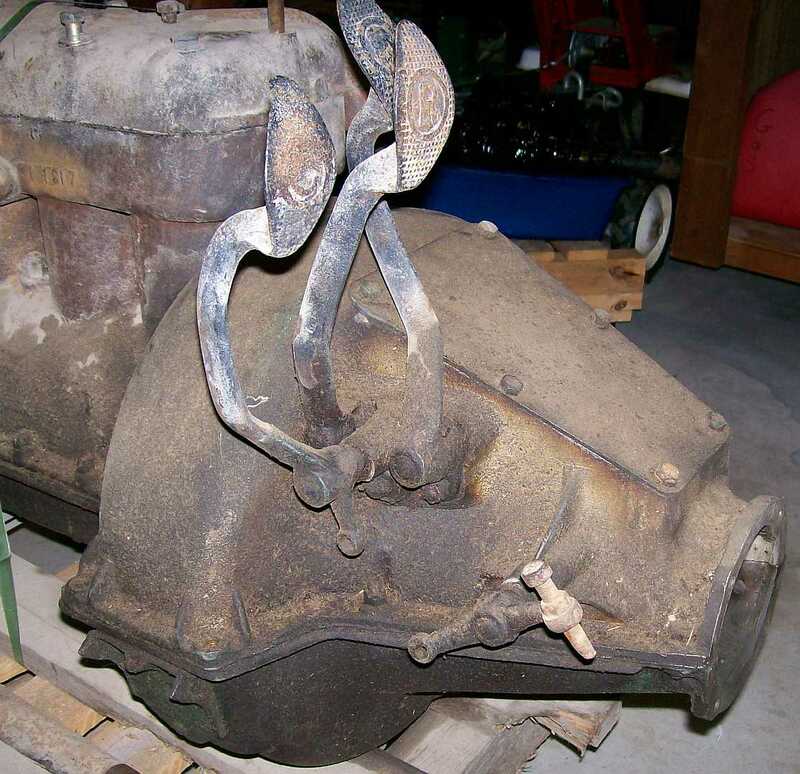 I need some help confirming my dating this Model T engine and its' parts. I believe most of it is 1914 and or real close to that date. 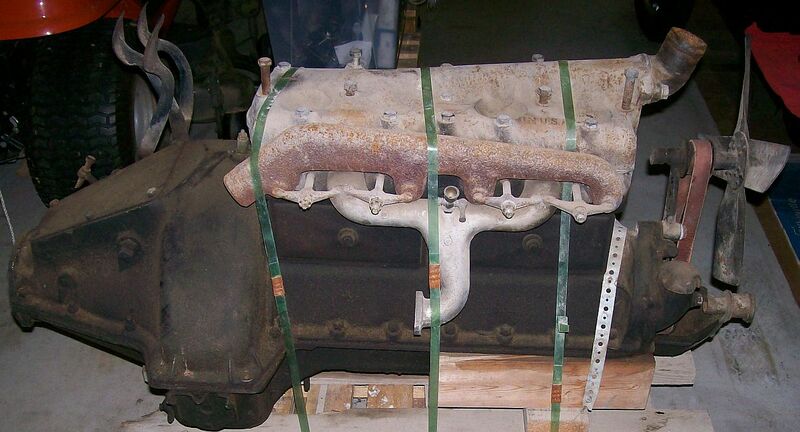 My goal is to learn to rebuild a Model T engine from the ground up and to one day own a 1914 Model T car. This engine is going to be a good start. Please take a look at it and see if I am on the right track with my research and add any corrections. First: the hogshead is aluminum, the large bell bolt holes have reinforcements, the cover plate is smooth, and the petals have the letters, so according to the MTFCA book on transmissions, this is a 1914 part. Second: The head is a low head, but there are two casting numbers on it: a 14 at the water outlet and another number at the other end. I think the 14 means 1914. Is that correct? Third: The carburetor inlet manifold is aluminum and has a primer cup. I do not know what year this means; any help here? Fourth: The fan hub is steel and it should be brass to be 1914. So the fan is about 1916. Fifth: The pan is a three dipper, but the nose is not narrow enough to be a 1914 (is that correct?). Also the ears have been cut off. Sixth: The timing cover plate looks 1914. Last: It looks like the block has a casting date of 1917, is that correct? But the serial number is 608194 which should be 1914. The 4 on the serial number is backwards, but the numbers are pitting and the stamping is old. What I am thinking is that this is a 1917 block with the old serial number stamped on it at a later date. The engine is turns freely and is good and greasy inside. Here are some pictures so you can double check me. Would appreciate some input. Steven, can't argue with Dan's take on the block casting date. The straight fan arm and steel hub fan are consistent with this date. The wide snout on the fan also suits. If you look at the pan where the radius rod mates to the cup underneath, are there strengthening ribs pressed outwards either side of the casting, or is the pan surface relatively flat? The alloy transmission cover, with lettered pedals is earlier than the block, as is the alloy intake manifold, which did not originally come with the priming cup. Looks like great start for a non-starter 1917 engine. Likely the early bits were added. But IMO, the previous owner used that old alum. hogshead, as those are soooo much lighter than an iron one. Owner discarded the iron hogshead from that '17 and put on his old aluminum one to make for less effort on re-lining the bands! I think Steven said the serial number was a 1914 number ? It's as likely the block and pan were replacement parts. Maybe a rod buggered up the original pan ? Steel hub is no deal breaker - perhaps cross-over in the transition from brass hub fans ? Truly a good find !! Agree on the advantage of an aluminum hogshead when changing bands ! 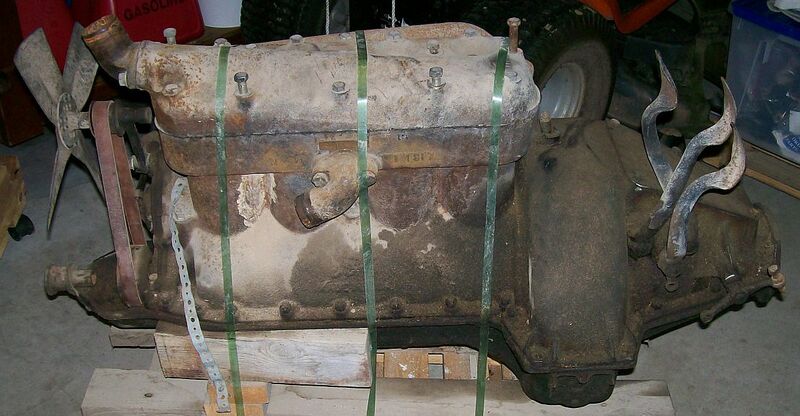 Replacement engines came from the factory with serial numbers. Replacement blocks were unnumbered. They were to be stamped with the numbers of the blocks they replaced. It's quite possible this 1917 block was a replacement stamped with the number of the block it replaced. 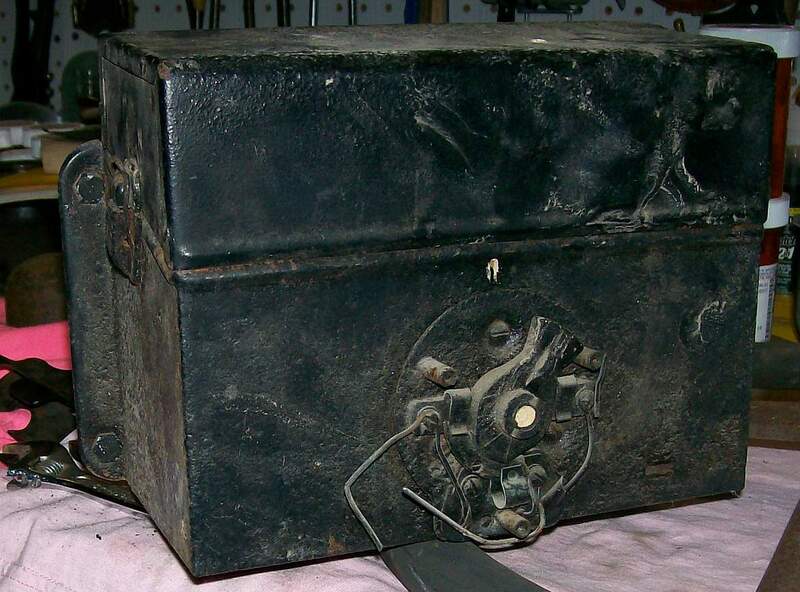 Here is a picture of the coil box that was attached to the motor. I could not find, as of yet, the date on this. Allen Bennett wrote: If you look at the pan where the radius rod mates to the cup underneath, are there strengthening ribs pressed outwards either side of the casting, or is the pan surface relatively flat? Allen, the radius rod ball holder that mounts to the pan has no ribs pressed outwards like an spread H pattern, that mounts to the pan. 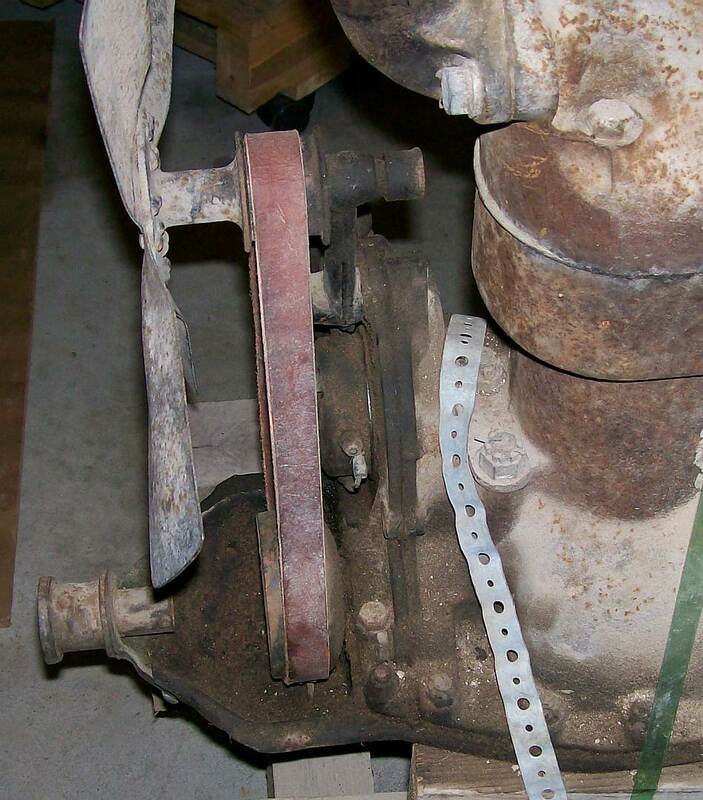 The radius rod ball holder that this motor has, mounts to the pan like a small oval pattern (no legs of an H). Steven, the coilbox too is consistent with 1917. It would have had a pressed steel cover originally. earlier versions were made of a hard compound like the steering wheels and this moulded switch had a flat cover over the front only. That coil box is not 1917. 1917 model year had the hard rubber switch housing. Eric raises an interesting point. Just when did the changeover occur? I have read that the steel cover was made to go over the hard rubber switch. The switch body in the photo posted shows mounting studs for the switch cover with no trace of the hard rubber casing. When was the change made? Or did the metal cover never go over the hard rubber switch? The hard rubber housing has a switch plate/face. The hard rubber remains exposed on the sides. I'm basing my prior post on cars with known histories. 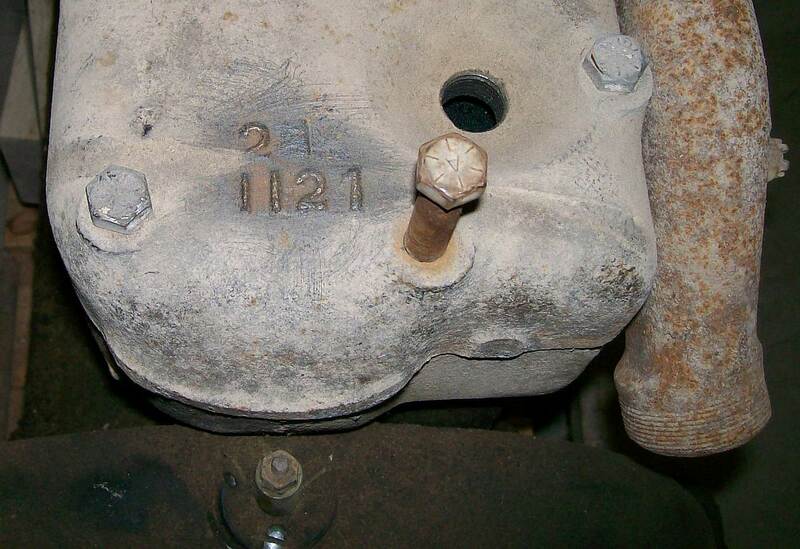 My dad's July 1917 Ford (last month of the 1917 model year) has the hard rubber switch housing. He purchased the car in original/unrestored condition from the original family in 1949. 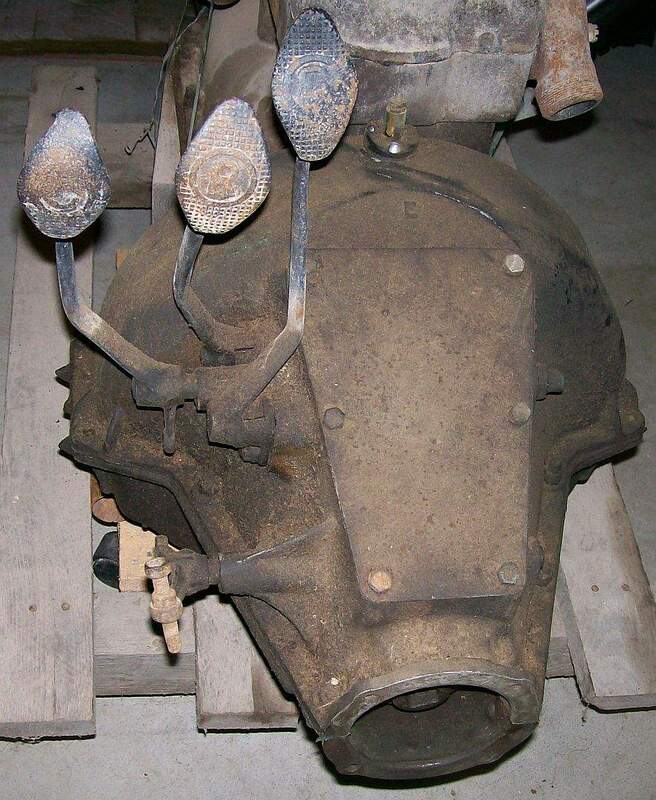 The unrestored Rip Van Winkle Ford (June 1917) has the hard rubber housing. I have an unrestored May 1917 roadster but, unfortunately, the coil box was replaced by the original owner with a later one with the pressed steel housing. 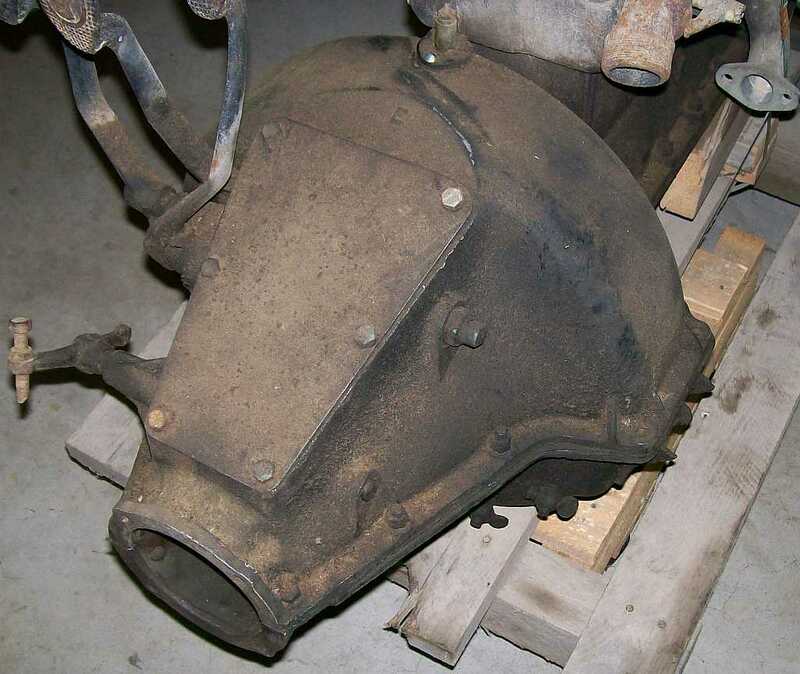 I did pick up an original firewall from a 1917 Ford complete with the coil box and that does have the hard rubber housing. According to the MTFCI guidelines, the first year for the steel switch case on the coil box was 1919. 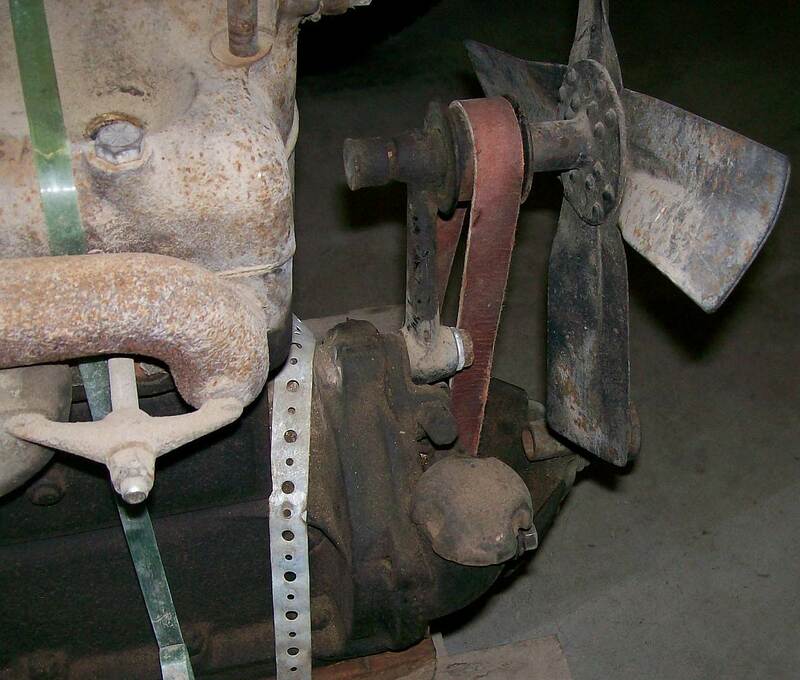 It was used on non-starter cars. The starter cars had the switch on the dash. Steve, Bruce's black book gives the same info for the introduction of the full metal jacket on the switch, 1919. Did that cover ever go over the earlier hard rubber switch?